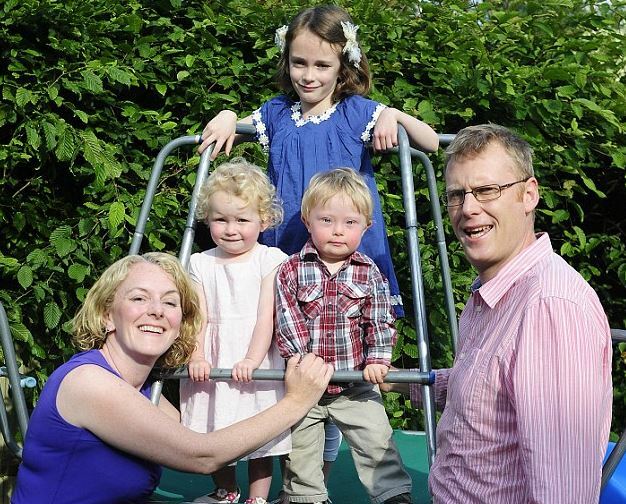 After 13 years working at British Gas in a variety of senior roles within the marketing strategy and commercial function, I took a break as I’d given birth to twins, one of whom has Down Syndrome. In the early years of his life, I was overcome with medical and therapeutic interventions to give my son the best start to life. After a couple of years, the number of appointments had reduced, but there were still appointments there. I wasn’t sure that any employer would support the level of appointments I still needed to attend. Therefore I felt that the workplace was closed to me. I also felt unable to apply for roles, as the critical questions I would want to ask about work-life balance and support, would be the very questions upon which I would fail the interview. I didn’t want to put myself under the pressure of starting a new job, desperate to please, but unable to give my family the support they needed. Through the Career Returners programme, I could “try before I buy” and really test whether the O2’s commitment to flexibility was there. I have not looked back since. I also found the recruitment team managing the process very open to having discussions about flexibility and giving support. They often said that during the program that it was a learning experience for them too and they wanted to learn how to create roles that brought talent back into the business. I spent three months on the programme, which enabled me to take advantage of O2’s incredibly flexible working culture. I soon saw I would fit in, and that O2 would enable me to manage my work life and hours around my own responsibilities. The most positive thing about the programme was that it opened up for me the possibility of having a career again. My personal highlight was at the end of the programme, when despite there being no immediate job opportunity to suit me, O2 CTO Brendan O’Reilly personally called me to say that O2 had been impressed with my performance on the program, felt that I had a lot of skills to bring to the business and would be creating a role for me on his team. I felt very flattered to be recognised and was stunned that the skills I had demonstrated through the program were seen to be so transferrable that I could move to a senior role in a different business unit. The role was very much designed to meet my needs, so I found myself intellectually challenged but with a great work life balance. I’ve effectively had two promotions since leaving the scheme. First into Head of Commercial for Networks, and now as Head of Customer Acquisition and Retention for O2 Drive. It took a year for the perfect role to come up, but I feel that this role builds on my previous marketing and commercial experience, whilst getting me to think about the customer in a completely different way. For me, the biggest challenges in returning to work were balancing my children’s needs, and reassuring myself that I could still meet these whilst having a career. I had to reflect on all the interventions my son needed and sort them into a group where it is absolutely critical for me to attend and others where someone else can attend on my behalf. For example, it is critical that I attend his annual paediatric review, whilst I was happy to delegate his weekly speech and language therapy to a childminder. From a work perspective, I also needed to update my skillset and my knowledge base. O2 is a digital mobile company, and whilst I’d worked in British Gas, digital were in a different directorate to the core marketing team. Consequently, I wasn’t just two years out of date due to my career break, I also had a bigger gap due to the organisational structure before. One of the great things about the Career Returners programme is that it gave license to network across the business to fill those knowledge gaps. I remember contacting, for example, our lead in social media and getting her to explain what is “hot” right now. By the end of the program, my insights were up to date and I could talk credibly about market trends. I was certainly in a much better position to re-enter the marketplace than I had been. I continue to lunch with fellow members of the cohort three times a week. Our group regularly stays in touch, and we really value this crucial support network. On a less work-focused level, there have been many other highlights in working for O2. Last month O2 employees were invited to a unique Take That concert at the O2, and besides this, I have driven the Ghostbuster vehicle, met key members of the England rugby team and had my nails done for free. O2 has a very special culture and it offers lots of experiences for employees. I would really encourage others to participate in the O2 Career Returners Programme. For my cohort, it was a completely different way of recruiting. It wasn’t about competing with thousands of people to secure a very tightly defined role. It was about showing a wide skill set which opened up a range of new opportunities and creating the right work-life balance for you. Without the program, I would never have applied for or been appointed as Head of Commercial for Networks. It was only through demonstrating a wide range of skills and networking that this came about. I think the programme offers a great way for women to develop the role that suits them with the support of O2.